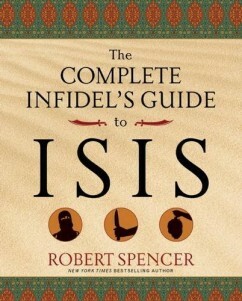 AUTHOR INTERVIEW WITH ROBERT SPENCER, author of The Complete Infidel’s Guide to ISIS. 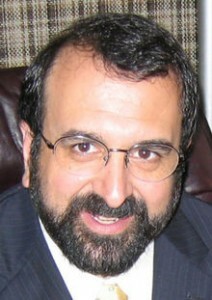 Mr. Spencer is the director of Jihad Watch, a program of the David Horowitz Freedom Center. Congratulations Mr. Spencer on your new book, The Complete Infidel’s Guide to ISIS! Can you give us an overview of your book, and what was your inspiration in writing it? This book contains everything Barack Obama doesn’t want you to know about ISIS: who they are, where they came from, what they believe, what they hope to accomplish, how they are going about accomplishing their goals, and how they can be stopped. My inspiration in writing it was a desire to clear away the fog of misinformation and disinformation from the Administration and the mainstream media regarding ISIS. ISIS is the most purely evil force the U.S. has faced since the Soviets and the Nazis. It is, like the Nazis, going to keep advancing until it is stopped by force. Contrary to Obama, it is very Islamic, and that is why it has made so many recruits among Muslims worldwide. Where did ISIS come from exactly? It is the old al-Qaeda in Iraq group led in the early 2000s by Zarqawi. It broke with al-Qaeda over questions of tactics – particularly over whether or not a caliphate should be immediately established in Iraq. Osama bin Laden and the al-Qaeda leadership wanted an Iraqi caliphate but thought that if it were established prematurely, the U.S. would destroy it. The ISIS leadership differed, and established their caliphate. So far, they’ve been proven right: the U.S. hasn’t destroyed it. If you could advise the presidential candidates on the GOP side, what advice would you give them on handling ISIS? What’s the strategy for degrading and eventually defeating ISIS? Tell the truth about who they are and what they’re trying to do. Reconfigure our international alliances to eliminate self-defeating ties to jihad-enabling countries such as Pakistan; strengthen our alliances with nations that are threatened by jihad. Build with them a coalition of ground forces to destroy ISIS. Don’t repeat the mistakes of the second Iraq war in the aftermath: eschew Wilsonian nation-building adventures and don’t endorse a Sharia constitution. Stand for American principles instead. Address the ISIS ideology at home, calling upon mosques and Islamic organizations to institute honest programs teaching against the ISIS understanding of Islam, or face surveillance and investigation. What do you do for fun? Watch baseball. Write preposterous short stories. Wish I could play the saxophone better.